Great hotel for a large family. Owner was responsive and beyond helpful with all our needs including activity and food suggestions. The hotel was wonderfully quiet, very clean and the kitchenette was perfect for our needs. 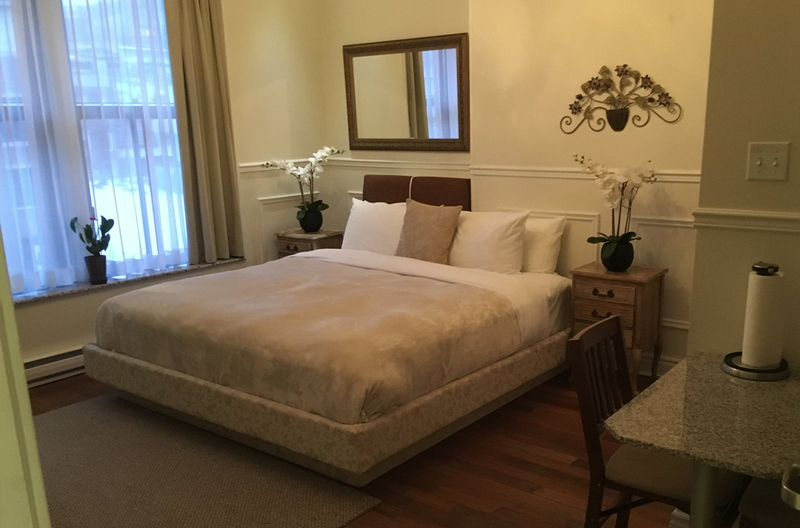 The boutique hotel (only 8 rooms) is located in an upcoming neighborhood with loads of new construction/renovation going nearby. It's not far from the Mcgill University campus so crowds tend to be young and easy on the eyes. 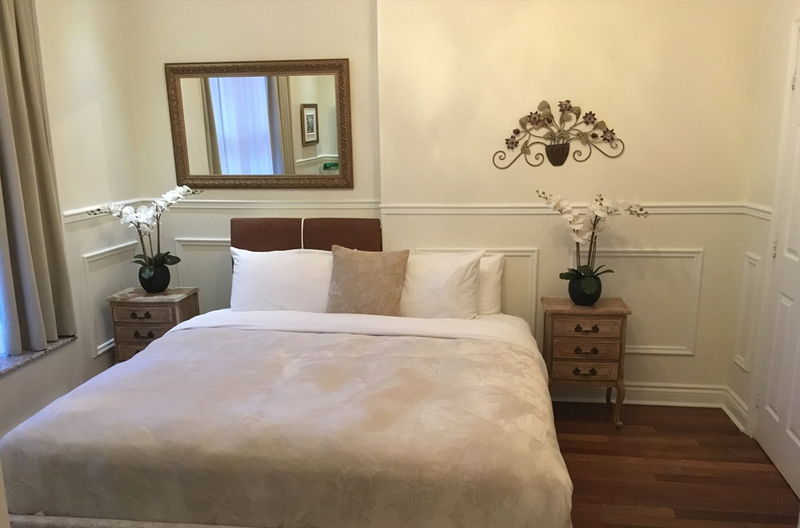 The location is very accessible - 15 mins walk to the Notre Dame and old town, 20 min to Royal Mount Park (peel street entrance) and 25-30 min walk to Museum of Fine Arts. Many restaurants/groceries/shops at the door step. The closest Subway station (Parc of Art) is one block away. The suite is a bit old but still keeps its charm. All facilities function well. The lovely balcony has a beautiful Royal Mountain view. Sipping a glass of wine during sunset time there is special. Staff/manager are super friendly. Not sure why but homeless on the street seems a common scene in Montreal. A bit higher percentage than other cities I've been to. Curious if this links to the fast changing/gentrification pace the city is undergoing, and if so, anything the public sectors can do to help? Great Personal Attention I stayed with my daughter and her family, including three children age 3-8. The General Manager was absolutely kind and patient with all of us, including the children. He encouraged us to call him if he was absent from the desk and gave us his personal cell phone. 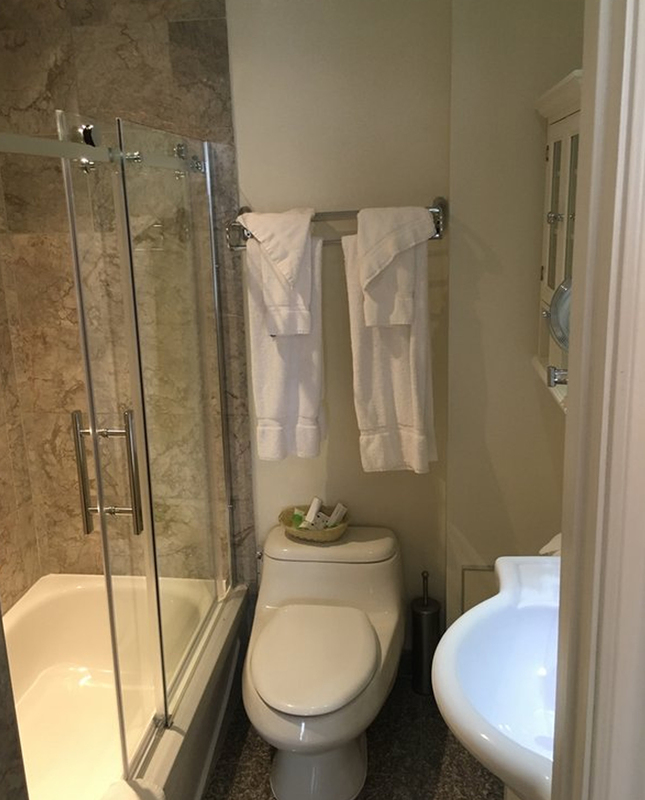 The hotel's location was great, especially that it is in walking distance of 2-3 grocery stores, a must for traveling with children, who can be finicky eaters. Also, it's on a bus line and close to the Metro. The best thing, though, is that the staff are absolutely the most attentive I have experienced. I hope to return soon. Quaint and charming Would give this a 3.75 rating. The manager was very nice and welcoming but wasn't there when we arrived and not present when we left. We had to call him. The outside is very deceiving. Son remarked that it was not up to my usual standard of quality. But when you go inside, it was very cute and quaint. There are only 8 rooms. Needed new carpet. Had an undistinguishable odor but not offensive. The parking is in the back and in an alley and as a single mom, I didn't feel comfortable going back there alone even during the day. High quality WiFi. Bed and pull out sofa were comfortable. Overall clean and cute. Would recommend. Good location as we walked everywhere! This is a nice hotel, very well run and managed. The host was very helpful with parking our car, carrying our things upstairs, and showing us the features of the room. 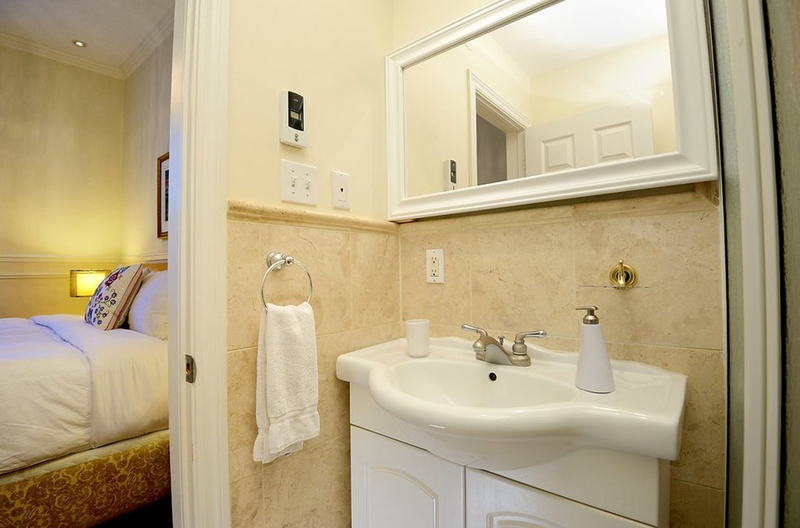 The suite was very nice and clean with a well stocked little kitchen and a newly renovated bathroom. The room was quiet and comfortable. 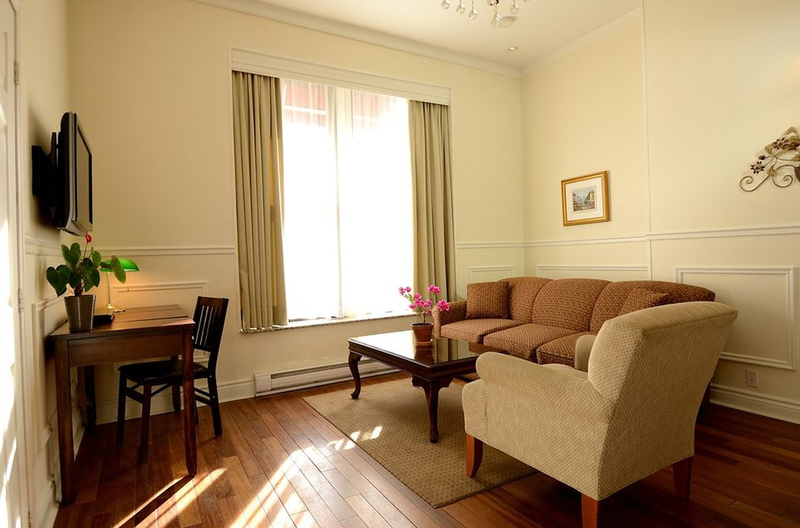 The area is convenient to downtown Montreal and there are nearby restaurants, coffee houses, a grocery store etc. The only drawback is that the area is a little borderline and we walked by homeless people on the street. However, it is a busy well lit area with a lot of pedestrian traffic so I didn't feel unsafe. Amazing! What a wonderful surprise this hotel was! It does not look so impressive outside, but the inside was absolutely beautiful. The owner is very pleasant, very accommodating and very personal. 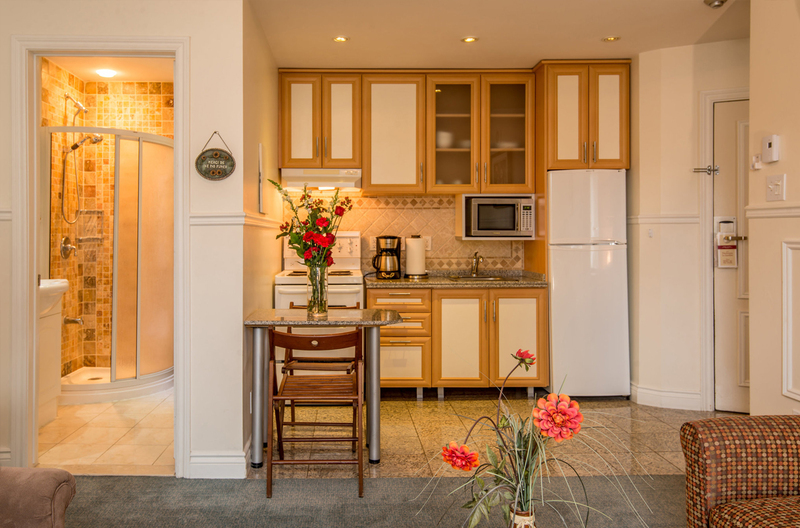 The location is very convenient to walk to the historic downtown and to the Mount Royal. I could not say enough praise to the owner! Thank you so much from our entire family! Very well taken care of My partner and I stayed at the Parc Suites hotel unexpectedly when we decided to move from another hotel that was not very good. Then I stayed on for another week to attend a conference and my partner headed home. The owner was exceptionally helpful right from the beginning. There wasn't one room that was available the entire time, so he managed to work things out so that I could stay in one room most of the time and then switch the last night. This means I can comment on two rooms (#s 4 and 5). 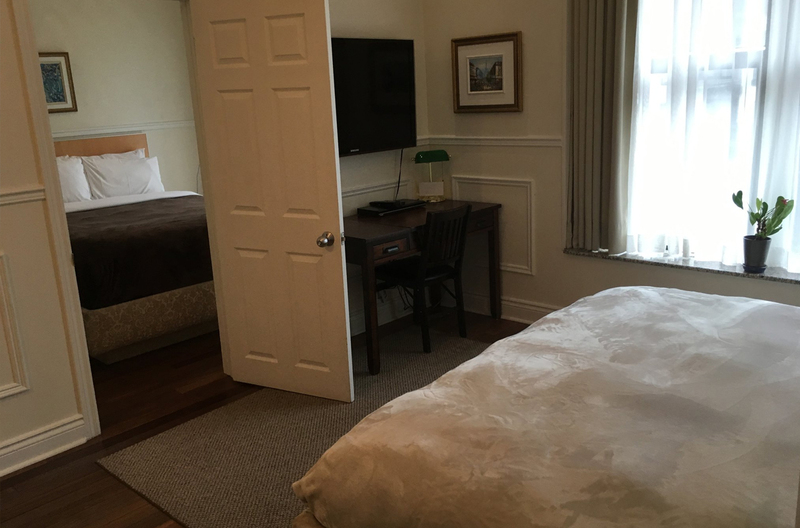 Both rooms were very clean, and well maintained. They have cute little fire escape balconies (they were facing the front, overlooking the main road (Ave de Parc). The weather was pretty rainy, so I didn't spend much time out there. It is on a main road, so there is some traffic noise, but there is a built in fan that I just used to produce white noise and it drowned out the traffic. There is no elevator and the stairs up to the top floor (#5) were quite daunting, especially with bags, or if you forget something and have to run back up again. And sometimes you need to let the water run for quite a while before it gets hot, but only if it is really early and you're the first person using it. There is a big grocery store and pharmacy next door. There are cafes directly across the street. Two blocks from a metro station. Walking distance to Notre Dame Basilica. Such an amazing location. There were some homeless people on the street where the hotel is, but never once did they bother anyone that I saw. At one point the owner saw me leaving to go to the laundromat across the street and he insisted they would do it for me! Fresh clean clothes at my door the next morning! The best part of my stay was on the last night. I went to bed early because I had to get up at 4 for a very early flight. At around 11pm, I was woken up by loud banging from the guests upstairs (I was now in room 4 on the lower floor). From the comfort of my bed I sent a text message to the owner who responded immediately saying he called the room above and asked them to stop whatever they were doing. And they did! This, for me, is what makes for an amazing travel experience. When someone really makes the effort to make sure all guests are happy and taken care of. If I go back to Montreal, I will stay at this hotel. Great hotel with wonderful hospitality We stayed in two different rooms, a studio and a one-bedroom, for three and two nights, separated by a trip to Ottawa. Each room had a full kitchen, comfortable and firm bed, great shower, daily housekeeping, large windows for a light atmosphere. Trugay was an excellent host, helping carrying bags up and down stairs, helping to call taxis, greeting us cheerfully,being available whenever needed. The rooms are modern and beautiful. 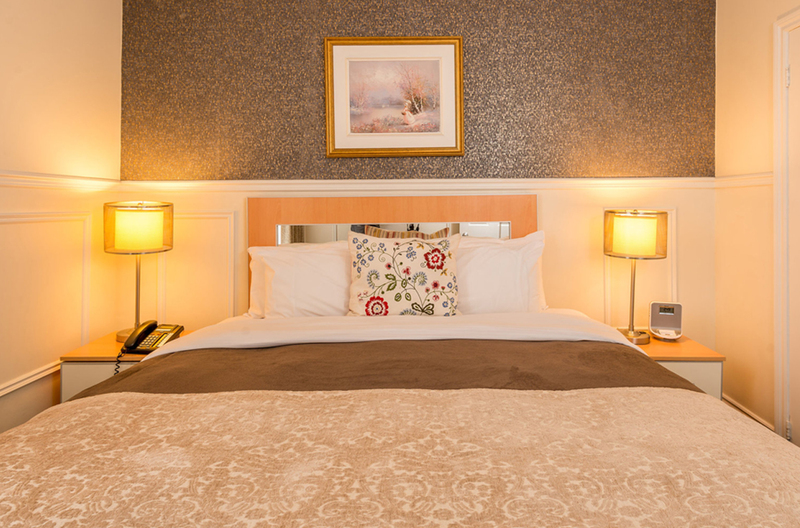 The hotel is centrally located, just two blocks from the metro (which takes you all over Montreal), two blocks from Mont Royal Park, with a 24 hour grocery a few doors away, and many restaurants and shops. We would definitely return, and highly recommend! 4 1/2 stars -- Dog friendly -- great stay Spent 2 days in Montreal with my 60 pound husky (Norway). Stayed in room 4. Terrific place! First impressions: Room 4 is enormous: kitchenette, tables, and a 2nd room... Turgay was wonderful. He's extremely dog-friendly and helpful (offering good suggestions, bilingual, map of city, etc...)... PROS: Location (lots of places to explore in walking distance, as well as simple things: restaurants, ATM, market, etc..), DVD's to watch movies, clean, spacious, etc... Parking was free (because I booked directly) "CONS": back alley where we parked is a bit sketchy; urban, homeless.. (nevertheless, the locals were nice to me and the dog, so not a problem), hotel at the top of flight of stairs.. (but, not a big deal for us).... In the end, Parc Suites Hotel offers the important things: location, dog-friendly, comfortable room, and helpful input for this first-time visitor... Glad we stayed there! 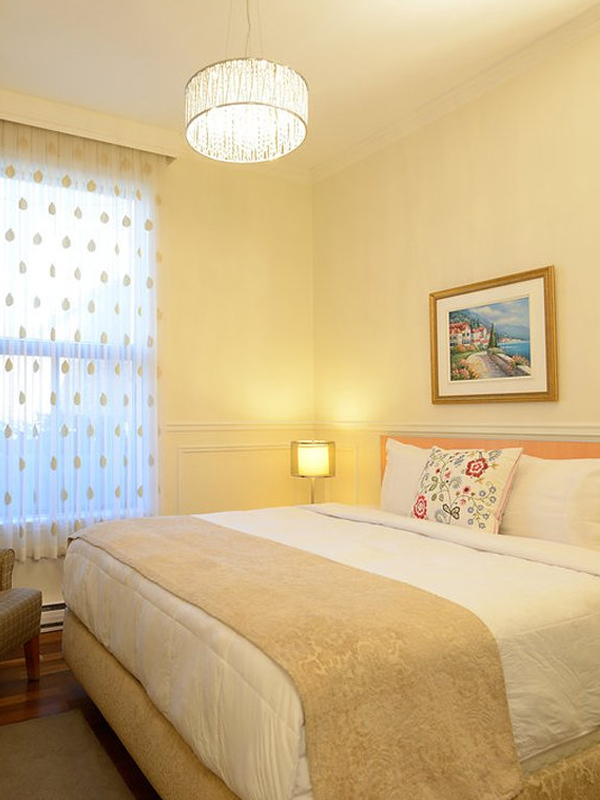 This is such a cozy, well-kept hotel in a choice location at a great price. 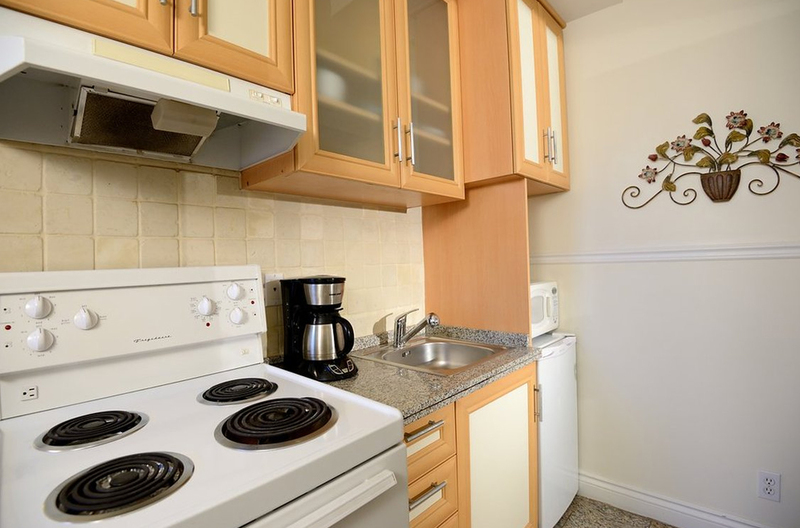 The rooms come with a fully equipped kitchenette. I didn't have internet access, so the owners set me up with my own PC. Fabulous hospitality. What a great run hotel! 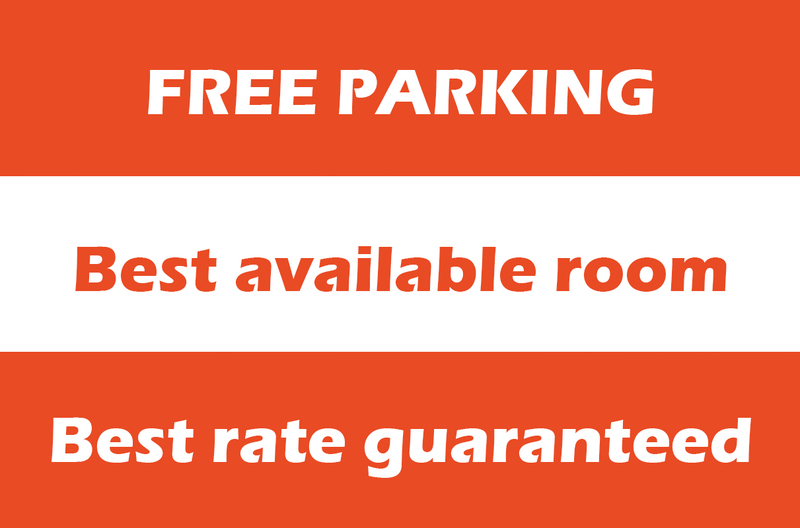 It is clearly maintained to a very high standard, with the most important item, the beds, a high standard too. You won't be disappointed coming here with the service either. We were shown expertly through our rooms on arrival, and with car parking conveniently behind the hotel, it was everything we needed centrally in Montreal. Well done!! Work partner of the Tripadvisor. 2018 © Parc Suites. ALL Rights Reserved. 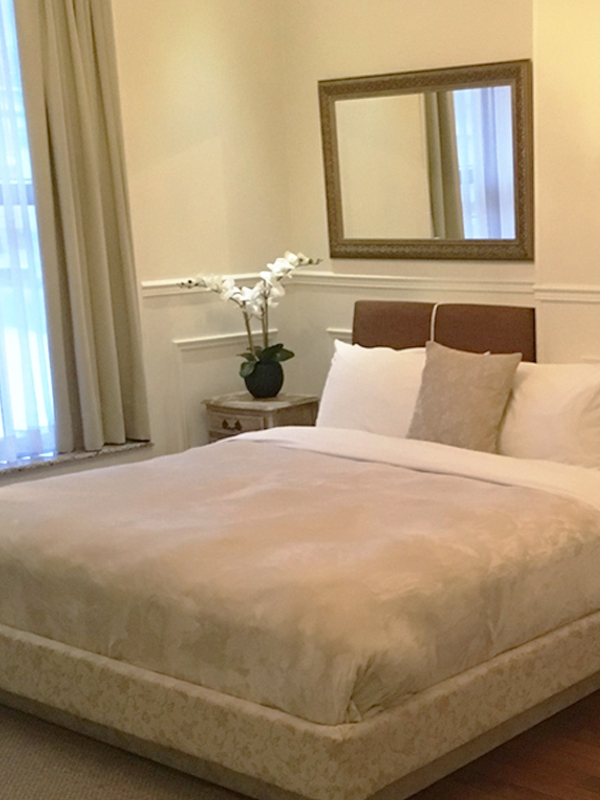 Unwind in a spacious, comfy suite complete with one closed bedroom, a living room with a top-quality queen-size pullout sofa bed and fully-equipped kitchen. 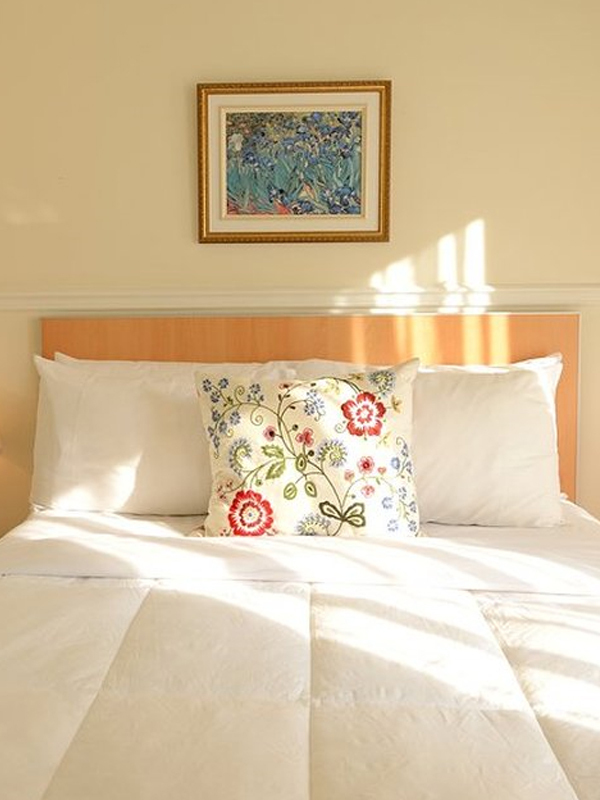 Equipped to comfortably accommodate 5 guests (with accommodations for 6 possible), enjoy everything you need for a relaxing stay. 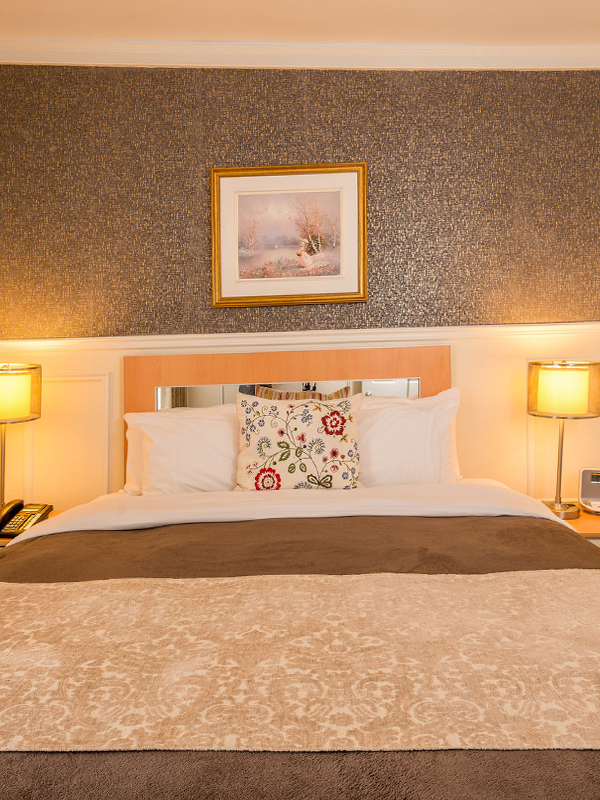 The suite features free unlimited long-distance phone calls to the US and Canada, two flat-screen cable TVs with DVD and CD players and an independent air conditioning unit with remote control in each suite. 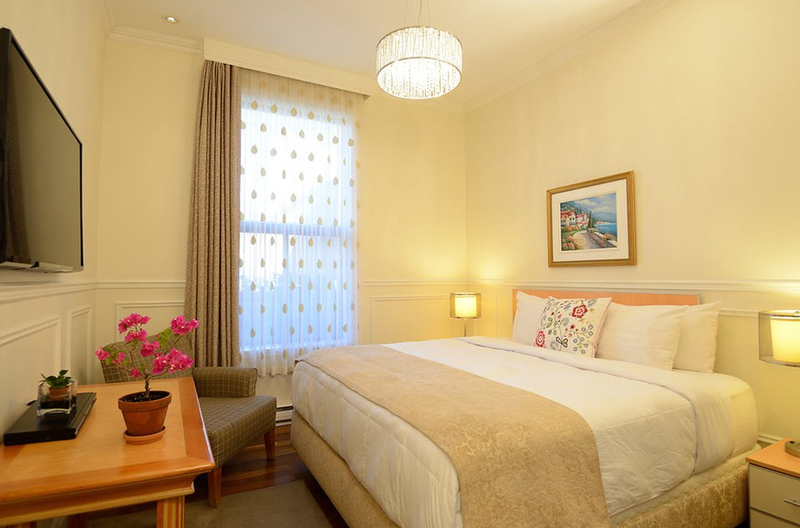 This type of suite has one bedroom with King or Queen bed,a living room with a King or Queen bed instead of sofa-bed. We can provide a cot as well. 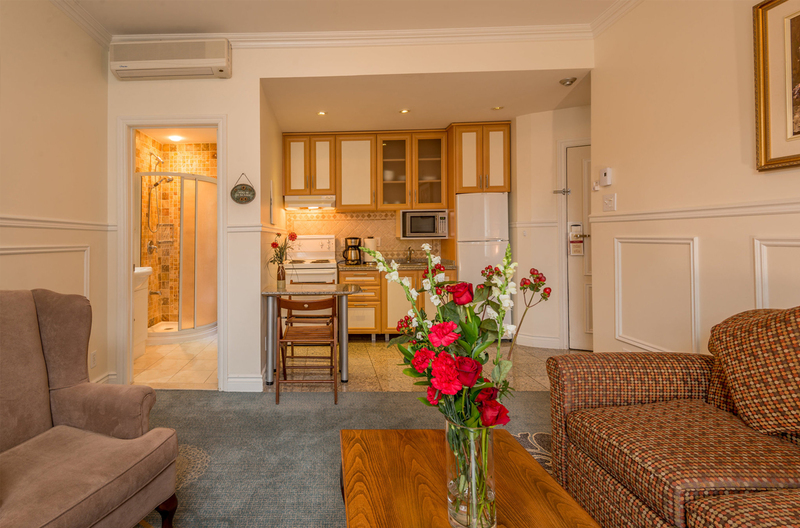 Fully equipped kitchen, marble bathroom and balcony. 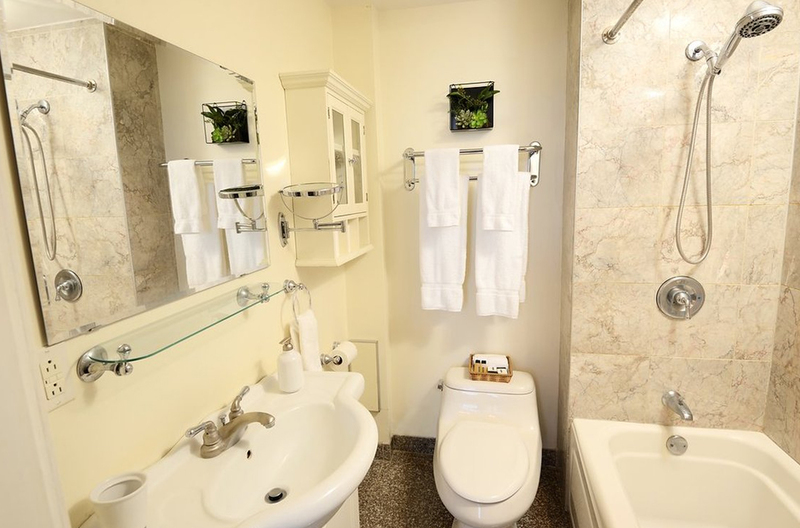 It can accommodate 5 or 6 people depend of the guest's needs.